Senator Holmes attended the groundbreaking of a long-in-development project now coming to fruition in Aurora Thursday. The old Aurora St. Charles Hospital, built in 1932 and since added to the National Register of Historic Places, had fallen into disuse. 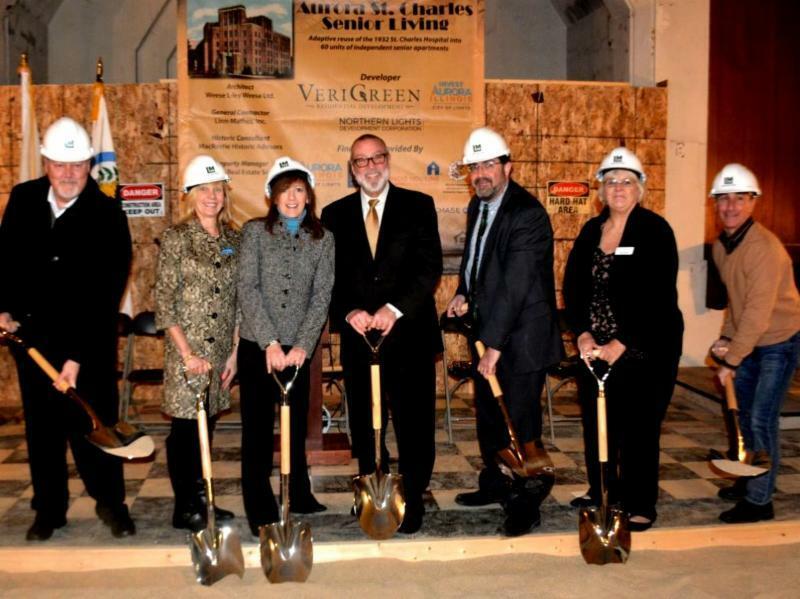 With help from the RiverEdge Redevelopment Zone program, developer VeriGreen was able to secure the necessary funding to begin work on rehabilitating the building. When complete, it will feature 60 senior living units. 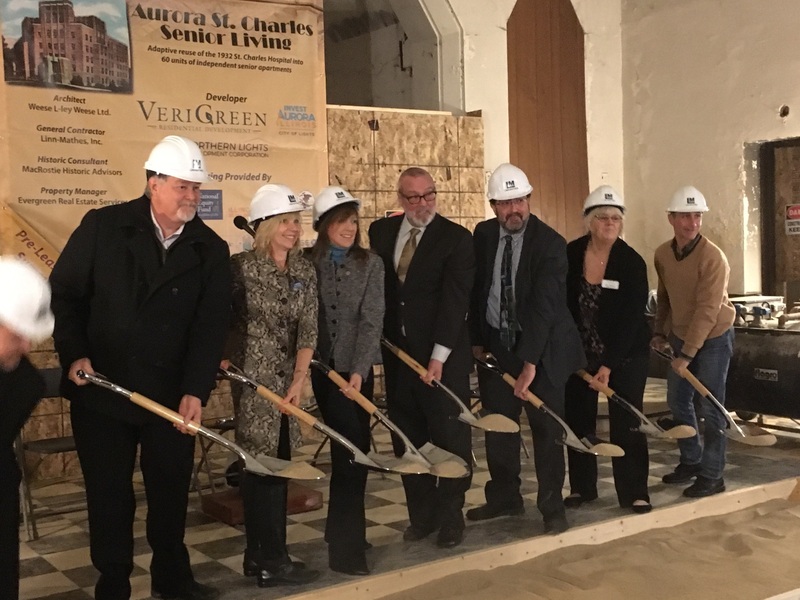 "The value of preserving this historic structure while also using it to care for our elderly is exactly the kind of development we're hoping out of the RiverEdge program, and the reason I urge an extension to it beyond this year," Holmes said. "This preserves the past while planning for the future in a way that's precisely in keeping with the story of this historic local gem." The RiverEdge Redevelopment Zone program will sunset at the end of 2016 unless it is extended. SPRINGFIELD — State Sen. Linda Holmes, D-Aurora, issued the following statement after voting in favor of Senate Bill 2043, which, among other things, funds grants for college students that went unfunded over the past year. 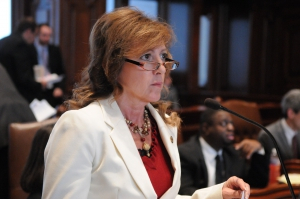 Senate Bill 2043 appropriates $397 million for MAP grants and $324 to the Illinois Community College Board for funds that include operations and adult education and literacy programs. Having passed both chambers of the General Assembly, it awaits the governor’s signature to become law. SPRINGFIELD — State Sen. Linda Holmes, D-Aurora, issued the following statement in response to Gov. Bruce Rauner’s State of the State address Wednesday.